So apparently Walmart isn't happy with the usage rate for the lockers they started installing three years and a half back. A local Arkansas tv station reports that the retailer is experimenting with an enormous orange automated locker machine which looks like something you would expect to see in Japan. 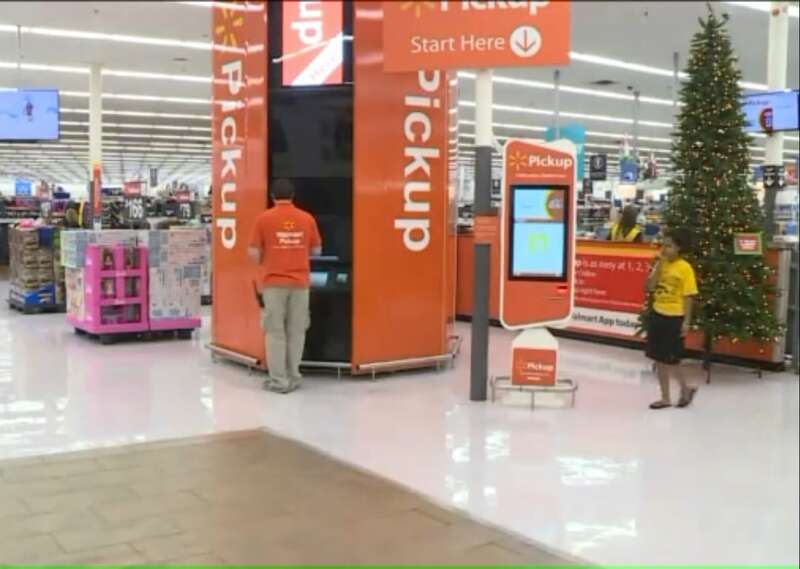 Walmart has created a large vending machine in hopes of reeling in the largest generational group in the country. The pickup machine, which remains without an official name, is playing catch up to the changing ways that millennials are shopping at retailers. Stationed inside Walmart store number one, off Walnut Street in Rogers, the large orange pick up machine is hard to miss. It currently is the only one located in any Walmart around the world, and remains in test mode. A growing demand for online shopping and picking purchases up in-store has the retail giant finding ways to streamline the process. "We're jumping up from one or two [in-store pickups] a day to 15 to 20," said Justin Wright, manager of the pickup department. "That's just pickups today." Two of my local Walmarts have had lockers for three years now, while the other one still keeps pick up orders behind the customer service counter. I've never used the lockers, nor have I ever seen anyone use them. I thought that was because they weren't terribly convenient when compared to either having an item shipped or picking it up off the shelf. Could it be that shoppers aren't using the lockers because they don't think of them? If so, that is one problem which will be solved by the giant orange traffic cone. I have sworn off politics as a blog topic unless it is strictly necessary.